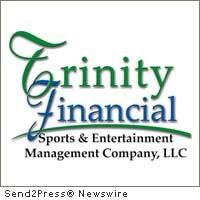 WALL, N.J., June 20, 2011 (SEND2PRESS NEWSWIRE) — Peter Grandich, founder of Trinity Financial Sports & Entertainment Co, is speaking out in support of former N.Y. Giant David Tyree who has been under intense media scrutiny for some gutsy statements he made about gay marriage. Posted in an online video on June 15, Tyree says he recorded the video because he opposes the notion of gay marriage and says he’s simply voicing his opinion. In response to the avalanche of negative comments published about Tyree, Grandich felt compelled to come out in his defense. Grandich blogged on his internationally-followed social and economic blog Grandich.com that he supports Tyree and agrees with his conservative stance. What’s more, Grandich says, he applauds Tyree for saying what many believe and don’t have the courage to openly state. Grandich feels many in the media are taking cheap shots at Tyree because they don’t share the same opinion. Trinity Financial, Sports & Entertainment Management Company offers a variety of services for individuals and small to mid-sized businesses. Additionally, through the assistance of former New York Giants running back and two-time Super Bowl Champion Lee Rouson, Trinity co-founder, the firm offers specialized services for professional athletes and entertainers. Grandich’s daily blog, The Grandich Letter, is read online by thousands of investors at www.grandich.com . For information go to www.TrinityFSEM.com .